POWER & LIGHT IN ONE:10,000 mAh USB charger with built-in LED lantern. 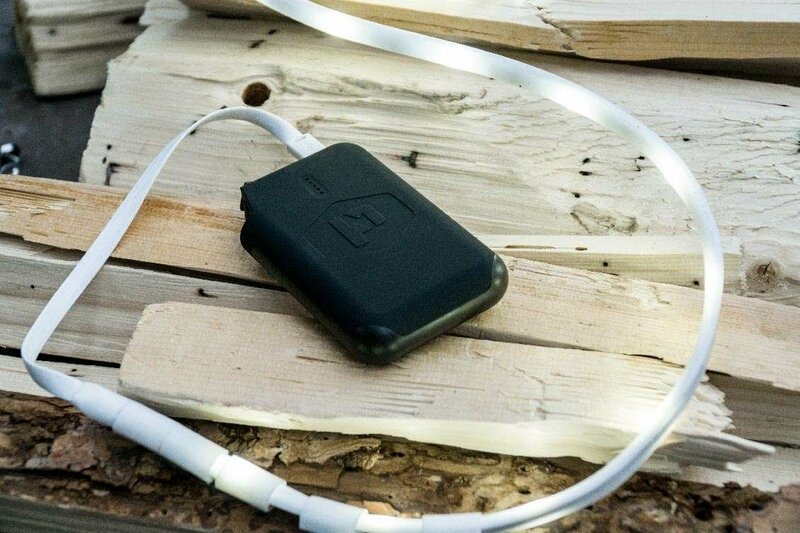 DUAL USB OUTPUTS: With two 2.4A (12W) outputs to charge your phone or power your Luminoodle Light Rope. LANTERN MODE: LED lights with adaptable brightness to dim to your ideal setting. COMPACT & LIGHTWEIGHT: At just 7 oz, it packs a lot of power in a small, lightweight form that fits in your pocket or backpack. UL-CERTIFIED CELLS: LG lithium ion cells with built-in short circuit protection and a temperature sensor to prevent overheating. Stay charged up and powered wherever your next adventure takes you. The Pronto has 2 USB outputs so you can power to 2 devices at once. 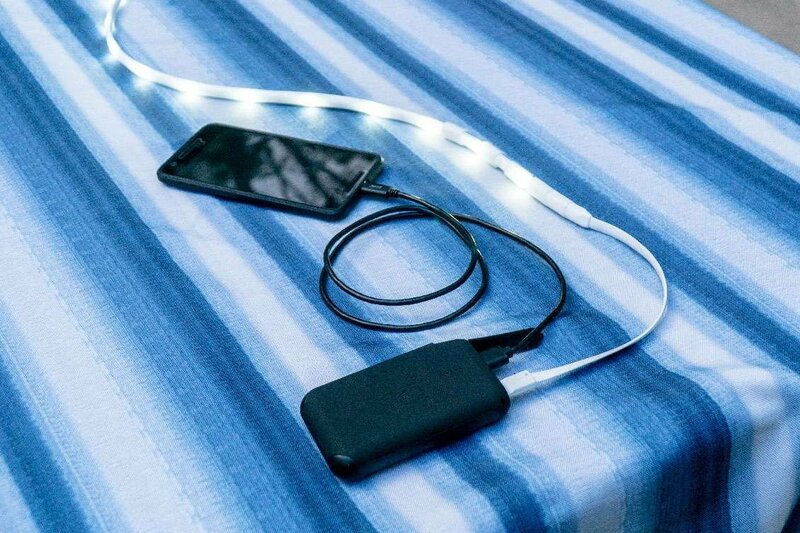 Want to charge your phone while you light up your Luminoodle? Easy. The Pronto is wrapped with LED lights that have adaptable brightness so you can dim it to that perfect amount of mood lighting that you were looking for. 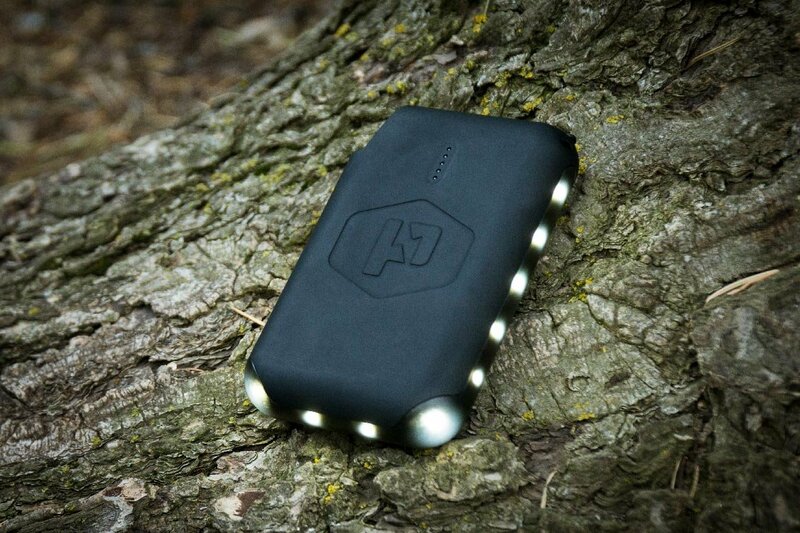 Power up to 2 Luminoodles for hours on end with the Pronto battery pack. They are a match made in heaven.